You've stumbled across a post dedicated to an older version of our app! 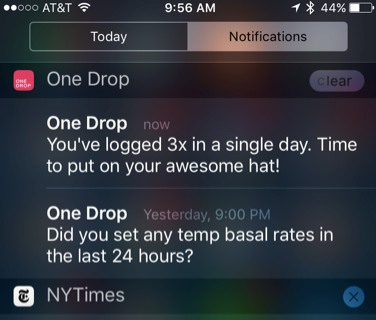 For more up-to-date info on setting up notifications for your One Drop app, check out this article. Ever wish you had a personal assistant just for diabetes? We hear you. With everything else going on -- work, school, family, friends, ... -- staying on top of diabetes can feel overwhelming. So, rather than carry this burden all on your own, let One Drop help you stay on track! That's right. 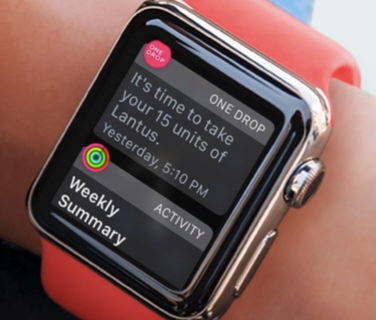 The best diabetes app also serves as your very own personal diabetes assistant. Feel more motivated, get helpful reminders, and see better results by enabling push notifications in your One Drop app. 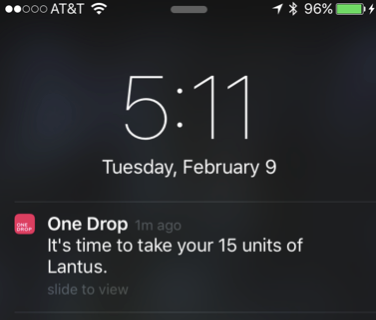 One Drop's notifications pop up right when you need them and ensure that you'll never let diabetes management slip through the cracks. Here are a few examples: ● Glucose: Looks like you had some carbs 2h ago. Time for a glucose check! 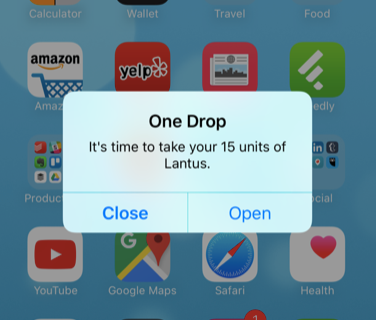 ● Meds: Time to take your 15 units of Lantus. ● Exercise: Remember, even small amounts of exercise can help reduce blood sugar. Let's get out and move! ● Insights: Your average glucose was 98 mg/dL last month. Math is awesome! ● Logging: Whoa! Impressive. You logged food, movement, glucose, and meds all in one day.